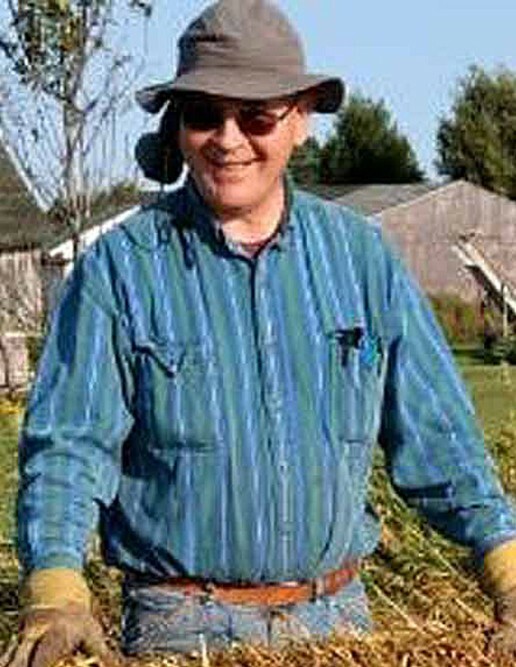 Jeffrey Blaine Delsart, 59, of Sturgeon Bay, passed away Thursday afternoon, March 28, 2019 at Door County Medical Center. He was born, March 13, 1960 in Sturgeon Bay, to Raymond and Ellen Alice (Rex) Delsart. Jeff graduated from Sevastopol High School in 1978 and continued his studies at Northeastern Wisconsin Technical College where he took diesel classes with his brothers, Roger, Randall, and Todd also business classes later on. He grew up helping on the family farm and continued operating the farm with his brother, Todd, in recent years. Jeff initially worked in the shipyards for Bay Ship Building Co. and also Peterson Builders Inc. for a shorter time where he was part of the quality control testing team. Most people knew Jeff, though, as an electrician. He was proud to be a master electrician and a state certified licensed electrician for over 30 years. You knew Jeff was there to help when you saw the big white Delsart Electric van or the big green truck in driveway. He was so accommodating to the schedules all of the families who called upon him for help with their electrical needs, and he was also thinking of solutions to potential problems that could arise over time. Jeff was baptized and confirmed at St. John Ev. Lutheran Church in Valmy. He was a former member of the International Brotherhood of Electrical Workers (IBW) while working in the shipyards. After the completion of his diesel classes, Jeff was always fixing his trucks and working on his tractors on the farm. He will be missed by his 13 siblings, Dianne (Gregory) Bojko, Carol Grimstad, Dennis (Nancy) Delsart, Sally (William) Kostka, Nancy (special friend, Thomas Tice) Delsart, Roger Delsart, Patti (special friend, Robert Florence) Delsart, Randall Delsart, Jill (Mark) Cote, Sharon Moellendorf, Todd (Deng ZiFeng) Delsart, Joan Delsart, and Tammy Barton; aunts and uncles; nieces and nephews; other relatives; and his loyal customers (and friends). Jeff was preceded in death by his parents; three siblings, Glen John, and (twin sisters) Tina and Tracey Delsart; three brothers-in-law, Glen Eugene Grimstad, Jr., Dr. J. G. Moellendorf, and Colin Bartin, niece, Kandy Ann Kostka; aunts and uncles; and other relatives. His life will be honored with a funeral service held at 7:00 p.m. on Monday, April 1, 2019 at Huehns Funeral Home in Sturgeon Bay with Pastor Gary Scharring officiating. Jeff will be laid to rest in Clay Banks Cemetery. Visitation for family and friends will be held at the funeral home on Monday from 5:00 p.m. until the time of service. Expressions of sympathy, memories, and photos of Jeff may be shared with his family through his tribute page at www.huehnsfuneralhome.com.